The material in the Yellow Book is Copyright (c) Rob Miles. If you find any mistakes in the text (it has been known) then I would be most grateful if you could send me an email to foundamistake@robmiles.com so that I can put it right. If you want the convenience of the Yellow Book on a Kindle you can buy a copy from Amazon here. If you want a printed version of the book you can buy a copy from Amazon here. I’ve had it printed in a large format (8 inches by 11) to make it easier to view the sample code. You can find the Semester 1 content here. 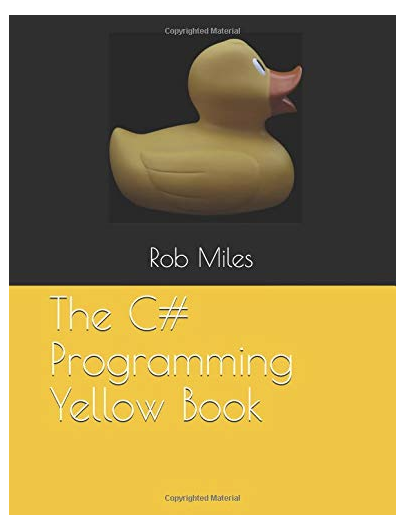 The C# Yellow book is a great way to learn how to program by just reading. 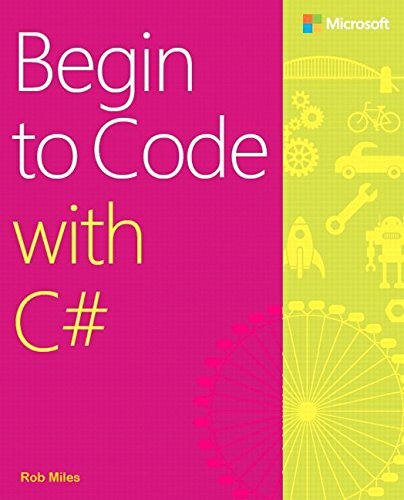 But if you want to do some coding while you are learning I can strongly recommend “Begin to Code with C#”. The yellow book has been translated into a number of different languages that I'm aware of. This is the cover for the Korean version (which I think is awesome). You can buy it here. You can download the Bulgarian version of the book from here. If you want to translate the text then feel free to do so, as long as the book has something yellow on the cover. If you want to sell your translation that's fine too, but you are not allowed to charge more than the price of a translation of the novel "Pride and Prejudice" by Jane Austen in your language. I'd also love to know of your translations, if you email me at foundamistake (see above) I'll link through to your translation from this page. 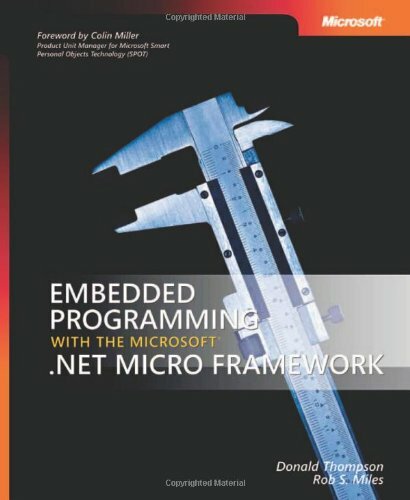 The Windows Phone Blue book was written for Windows Phone version 8.0 and tells you all about software development for that platform. You can download your own copy from here. There is also a whole set of matching demonstration programs you can find here. 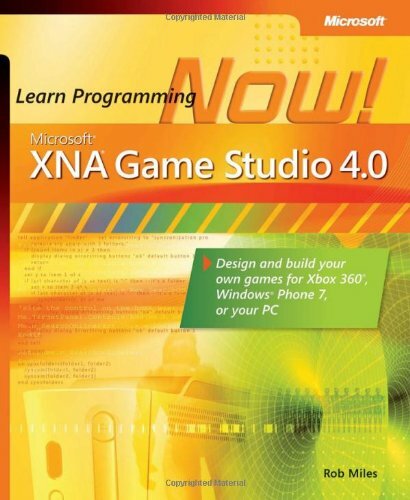 The book tells you how to develop applications and games using XAML and XNA using MonoGame. 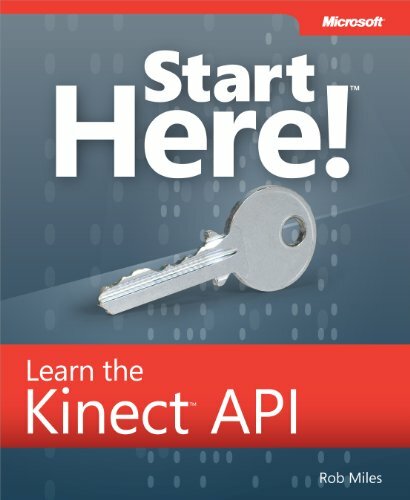 It will serve as a good introduction to Windows Phone development for an experienced C# developer. These books are available to buy at any good bookstore.